Mido Cafe in Yau Ma Tei is one old-school cha chaan teng to visit when in Hong Kong. Untouched by time, the cafe seems to be at a standstill. Its decor is as old-school as it can be; ancient Hong Kong still exists at Mido Cafe. Colourful wall tiles that are so tacky yet so nostalgic complemented with old tables and chairs; Mido Cafe is exactly how a cha chaan teng should be. Our friends from Hong Kong have been urging us to make a visit and we finally did. And we finally understood why they have such high regards for this nondescript cafe that they grew up eating. 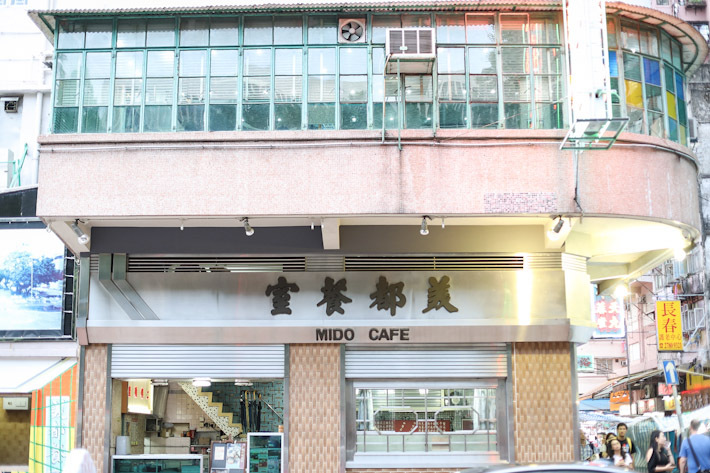 Mido Cafe sits on Temple Street, a very well-known street in Hong Kong infamous for its counterfeit goods and prostitution. 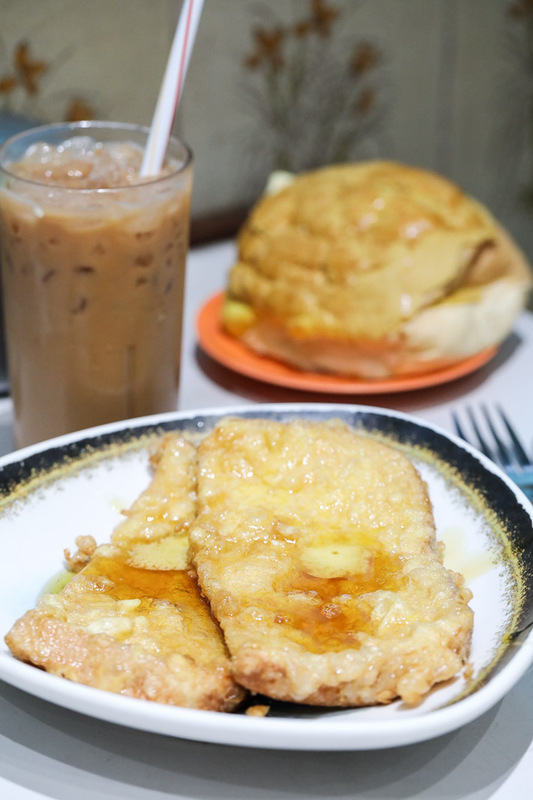 We are not fans but we’d go to Temple Street for a taste of Mido Cafe’s famous French Toast. Upon stepping in, you’d be transported back in time. The dimly lit space on level 1 is as ancient Hong Kong as it can go. You’d probably be directed to level 2 (accessible via a very narrow and steep flight of stairs) where most diners are gathered. And that is where you would be presented with the menu. You have your usual cha chaan teng fares—from baked rice to noodles, sandwiches to classic HK-style drinks. The Bo Luo Bun with Butter (HK$15) on the other hand was a letdown. It was neither buttery nor came with a crispy tortoise shell top. We’d say to give this a miss. Oh, you have to try the HK Milk Tea (HK$20). It was smooth with a fine balance of sweet and bitterness from the fresh tea. So is it like bread and butter basically?